This is for a 2015 Las Vegas trip including Bacchanal Buffet, Bouchon Bakery, Heart Attack Grill, Serendipity 3, Rao's Las Vegas, Gordon Ramsay Pub & Grill, & Mesa Grill. 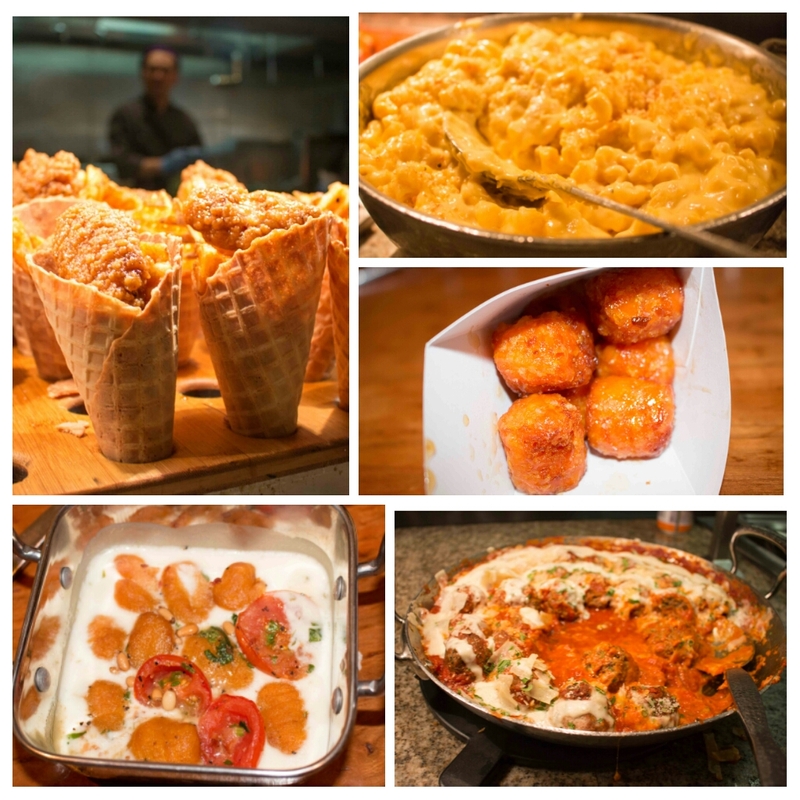 When you're in Vegas, you can't not stop by one of their lavish buffets. Voted Best Vegas Buffet since it's opening in 2012, Bacchanal Buffet in Caesars Palace is a showstopper indeed. So after a wonderful morning at the pool, we decided to stop by for a late afternoon lunch. It's $57 for dinner and $37 for lunch, though a dollar gets knocked off with your Total Rewards card. If you're in a drinking mood, bottomless mimosas are available for $22. Beware the lines at certain hours, though if you purchase the Caviar and Champagne package for $150+, immediate seating is yours! There's plenty of house-baked bread, stellar cheeses, and fresh Jonah crab claws (lobster and king crab for dinner service!). The sushi rice was a bit mushy, but the fish was undeniably fresh, especially for a buffet. I appreciated that the large majority of dishes were either served to order or were portioned for individual servings, which elevated the experience. Chicken and waffle fries cone in a waffle cone? Don't mind if I do. Creamy sharp cheddar mac and cheese, sweet potato gnocchi, crispy sweet potato tots, and moist meatballs were also on offer. You know I posted up right by the butcher though. 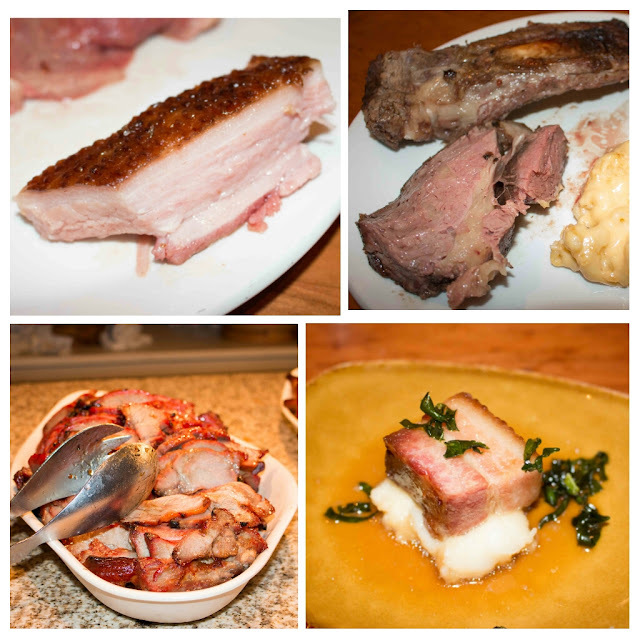 The slab bacon? Amazingly juicy and unctuous. I must have gotten an entire pig's worth. While the mammoth beef rib was unfortunately dry, the prime rib was juicy and tender. The char siu pork was on point and the Chef's special of pork belly on parsnip mash? Sign me up! The GF was in heaven with the dessert bar. 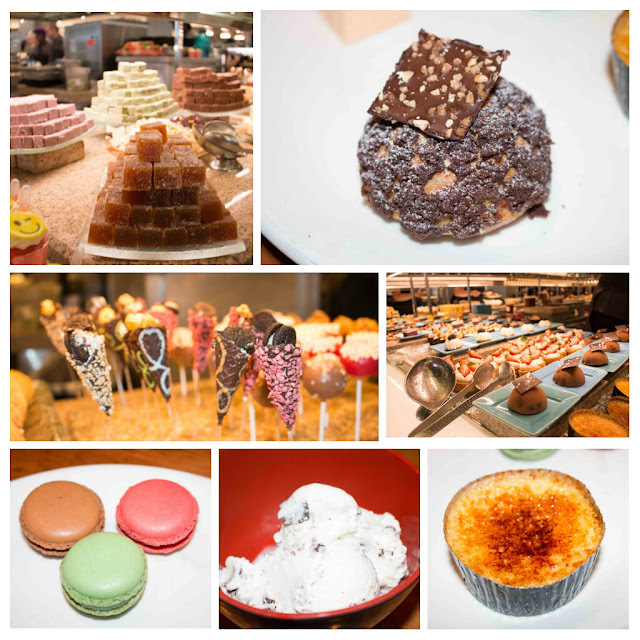 Plenty of sweets including cream puffs, flavored marshmallows, creme brulee, macarons, and a bevy of gelato and ice cream. I went with the straciatella gelato - delicious. 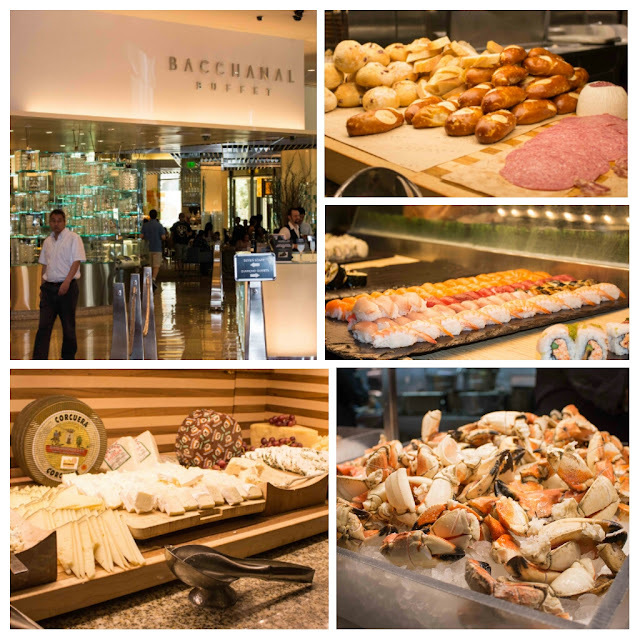 So if you're in Vegas and are aching for a well-executed and somewhat elevated buffet experience, I wouldn't hesitate to recommend the Bacchanal Buffet. I know I'll be making at least one trip every time I'm back!